Chinese jailbreak team PP 25 has released their PP Assistant Jailbreak tool capable of jailbreaking iOS 8.4. The tool that is available for download right now has been tested by a number of users, who confirm that it works on the newly released version of iOS. The PP Assistant jailbreak tool currently supports iOS 8.1.3 up to iOS 8.4 and only works on Windows powered computers. The timely release of the iOS 8.4 jailbreak, which might be the fastest for any iOS version will allow jailbreak users to take advantage of the three month free trial period of Apple Music. Users are also reporting that Cydia Substrate, which was recently updated to work with iOS 8.3 jailbreak is working on iOS 8.4 jailbreak. Users have confirmed this by testing various tweaks such as Winterboard that rely on Cydia Substrate to work. A solid proof of the legitimacy of this jailbreak tool is the screenshot below, shared by Reddit user cabojay. It clearly shows Cydia installed on iOS 8.4. The new Music app icon of iOS 8.4 can also be seen in the dock. 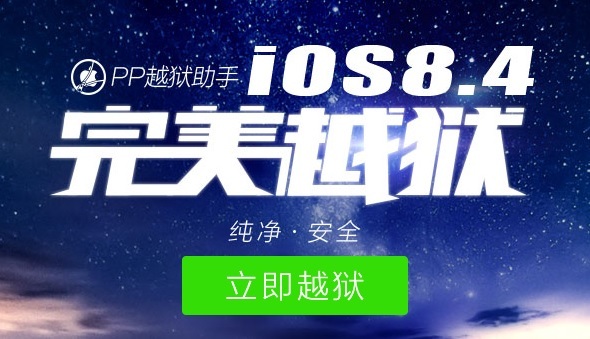 TaiG team have issued an official statement in which they claim that PP stole TaiG’s exploit that it used in iOS 8.3 jailbreak and used it in their iOS 8.4 jailbreak tool. If you have updated your iPhone, iPad or iPod touch to iOS 8.4 and want to jailbreak it then use the PP jailbreak tool to do so. You can download it from the link below.